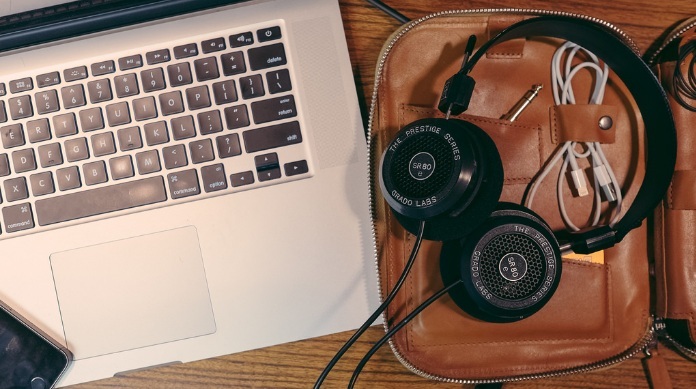 It’s an age-old debate that has been argued in many offices around the world – should you listen to music whilst you work? With an increase in online streaming services and more accessible install speakers, it is becoming easier for companies to control and play music in office spaces, but many are querying whether it will hinder or help productivity. The Telegraph recently published an article discussing a new scientific survey which looked at how listening to various types of music affected different types of thinking, compared to working in silence. Simone Ritter, from Radboud University in the Netherlands, and Sam Ferguson, from the University of Technology in Australia, uncovered that listening to music can actually enhance creative thinking. However, if you’re trying to solve a problem, it is more beneficial to work in silence. LinkedIn and Spotify have also joined the debate, teaming up to research whether playing music is a good way of motivating staff. According to the study, 73% of UK workers stated that their main reason for listening to music at work was to help increase productivity. 67% said it kept them motivated and 41% said it helped them to relax. It also revealed that Ed Sheeran was the most popular artist to play when at work. Overall, the results from the online poll suggest that employees prefer to work with music playing rather than in silence. Historically, music was frequently played in the workplace to alleviate boredom and provide a rhythm to the working day. In fact, between 1940 and 1967, the BBC broadcasted the programme, Music While You Work, to improve efficiency and keep up morale in factories. Whilst this theme continued in many manual labour jobs, such as on building sites and in garages, a large majority of offices opted to work in silence, believing that music was too distracting for employees and created an unprofessional working environment. However, despite this, more recently it would appear that more and more offices are choosing to play music during working hours. In 2016, PRS for Music, the organisation that collects royalties for UK songwriters and composers, granted more than 27,000 licenses to offices to play recorded music. This number is expected to grow further as companies become more open to playing music throughout the workplace. One of the biggest challenges for businesses is to ensure that employees can hear what is being played without the music being so loud that it becomes distracting. Therefore, it is important to invest in high quality speakers so workers can still enjoy music but at lower volumes. Our Install range has been designed with award-winning Q Acoustics technology, meaning listeners can enjoy high quality sound, regardless of the location of the speaker and the volume. It consists of a variety of discreet in-wall, in-ceiling and on-wall speakers which suit a wide variety of office designs. In addition, we have recently launched fire and acoustic speaker hoods ,which help reduce the spread of fire and noise pollution between floors, whilst adhering to building regulations. As the debate regarding whether music helps or hinders productivity at work continues, one thing is for certain – if you are going to play music in offices, ensure you have the best quality speakers!